It’s a Dr. King Quiz! 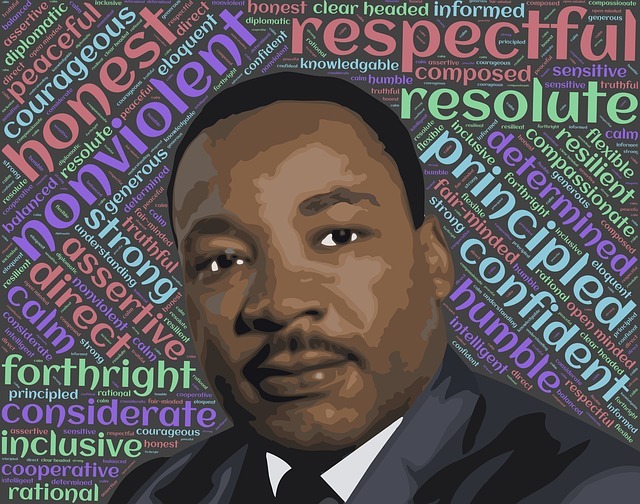 Martin Luther King Jr. Day is just a few days away. So just for fun, I’ve prepared a little quiz in honor of Dr. King. Which statement below is false? He was born Martin Luther King, Jr.
Martin had a younger brother and an older sister. At the age of ten, Martin sang with his church choir at the premiere of Gone With The Wind in Atlanta. Martin skipped the ninth and 12th grades in high school and entered college at age 15. Martin earned a C in a college-level public-speaking course. He helped organized the famous March on Washington. Dr. King led peaceful protests to fight for the rights of all people. Martin gave more than 2,500 speeches in his short lifetime. In 1964, Dr. King won the Nobel Peace Prize. At that time he was the youngest man to ever receive the prize. Martin Luther King Jr. was an avid fan of Star Trek. PS: Scroll down to discover the false statement. Martin Luther King, Jr. was named Michael King at birth.